The California Wolf Center is a on- of-a-kind non-profit, education, conservation and science center dedicated to the preservation and restoration of wild predators in North America. Founded in 1977 to educate the public about wildlife and ecology, the Center is currently home to several packs of gray wolves, some of which are exhibited for educational purposes. Our wolves serve as ambassadors representing wolves in the wild. 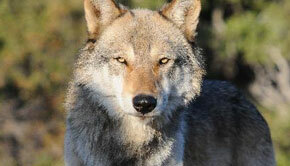 We also host highly endangered Mexican gray wolves, now being reintroduced into the southwestern United States. A visit to the Center provides a unique experience involving one of the most charismatic and controversial species in North American history.